The solution of European Union’s policy aimed at reducing migration flow over the Mediterranean as part of which the EU helps Libyan authorities intercept migrants and return them to detention has been deemed by the United Nations as inhumane. According to British public broadcaster BBC, the UN’s High Commissioner for Human Rights, Zeid Ra’ad al-Hussein accused European countries of ignoring warnings over the deal struck with Libya, described the situation as fast-deteriorating, and the Libyan detention system as «broken beyond repair». UN monitors, who visited the detention centres, reported that they saw «thousands of emaciated and traumatized men, women and children piled on top of each other». 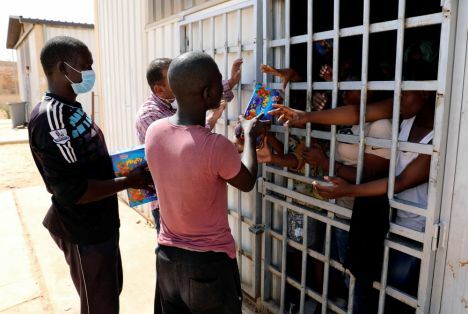 Libya’s Department of Combating Illegal Migration has estimated that close to 20,000 people were now held in their facilities, which is a dramatic increase from a total of 7,000 this September.